Virtual volunteering, what are my options? Home » News » Virtual volunteering, what are my options? Helping to disseminate campaigns, signing petitions, translating, giving advice to associations…there are a number of ways you can collaborate with non-profit organisations from home. When someone mentions volunteering, one usually imagines somebody physically engaging in a cause. However, the advance of technologies is changing relational patterns and volunteering and activism don’t escape this transformation. In a growing digital world, there are new ways to engage. In fact, right now there are probably thousands of committed persons collaborating in a cause through their computer or mobile phones. 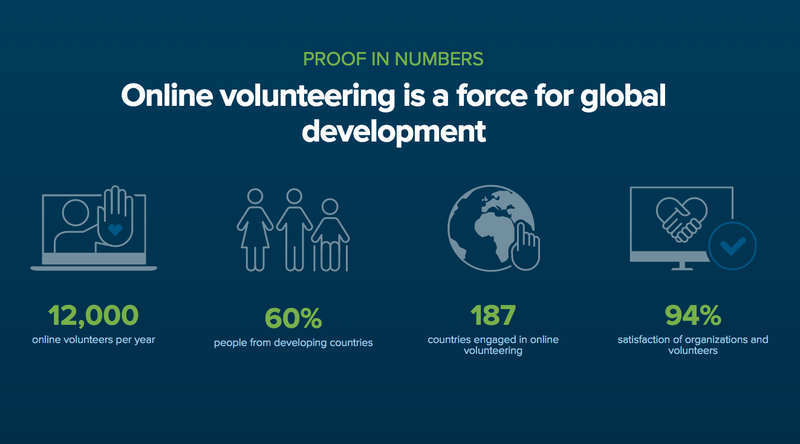 Virtual volunteering and cyber activism provide an opportunity to support causes through ICTs and the Internet. The level of engagement and the time dedicated to a cause will depend on the enthusiasm and possibilities of each person. This engagement can come in the form of occasional contributions to a concrete campaign, collaborating with an organisation for a longer period of time, or even launching an action oneself to respond to a social challenge, and generate a change. Here we bring to you some ways in which you can dedicate some time and effort to a social cause, using the Internet. Communication and dissemination are very important when a group or an organisation look for funding on a crowdfunding platform to start a project, or when they launch an online campaign to disseminate a cause, or when they organise a meeting or an action. Very often they ask their members and supporters on the networks to give them a hand to spread their initiative. Becoming a loudspeaker for causes you defend is another way of collaborating with them. Sharing an event with your contacts on Facebook, retweet their messages, or just explaining on your blog that you have contributed funds or energy to a cause…it all helps! Signing a manifesto or participating in a campaign are also ways of supporting. An example could be SOS Racisme has a campaign called #AixòÉsRacisme (This Is Racism) and ask citizens to denounce cases of injustice using this hashtag on the social networks. 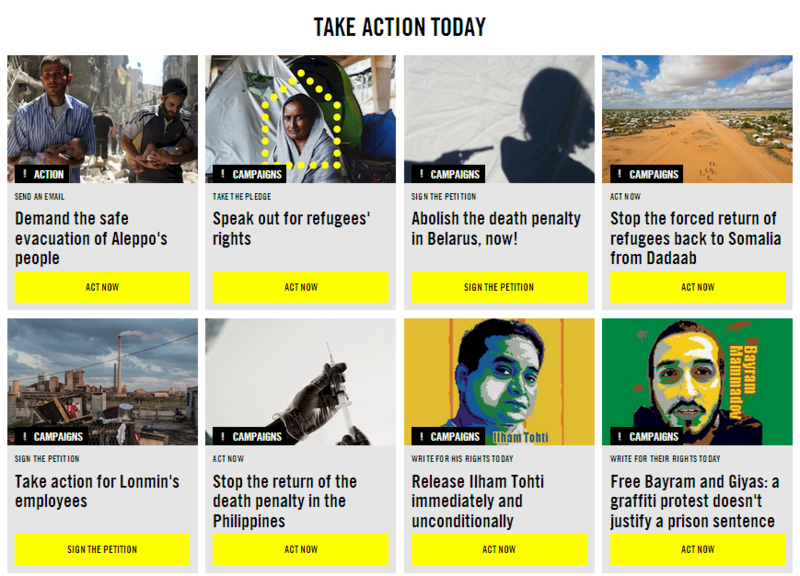 One organisation with many calls to action is Amnesty International. They explain a concrete injustice and ask citizens to take action and sign a petition that is then sent to governments or international organisations. If you detect a need, a social challenge in your community and have some ideas to change this reality, you can use petition platforms to denounce the situation and gather support. 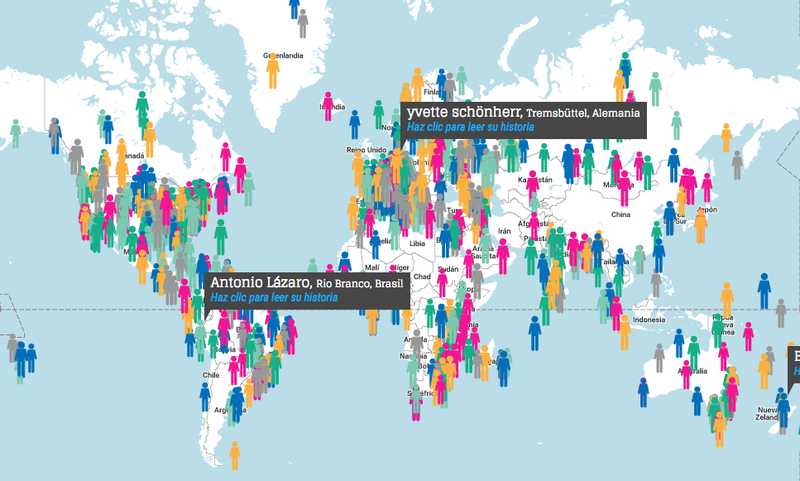 Portals such as Change.org or Avaaz.org channel these initiatives. Designers, web developers, journalists, economists, translators, community managers…they all can contribute their know-how to organisations by collaborating occasionally or through stable collaboration, but virtually. They can do this with whatever organisations they prefer, near or far from where they live. This, for instance, is a way of collaborating with foreign NGOs. There are also platforms that exist to put in touch organisations that need volunteers for tasks that can be performed off-site and people who would like to collaborate but don’t have much time or do not live nearby. Organisations will usually post their online volunteering offers on these platforms and citizens can use a search bar to choose their fields of interest, the type of task, the time required for the task…In doing this they can find offers that match what they can offer. Hacesfalta.org, Onlinevolunteering.org or Catchafire are just a few examples of platforms.